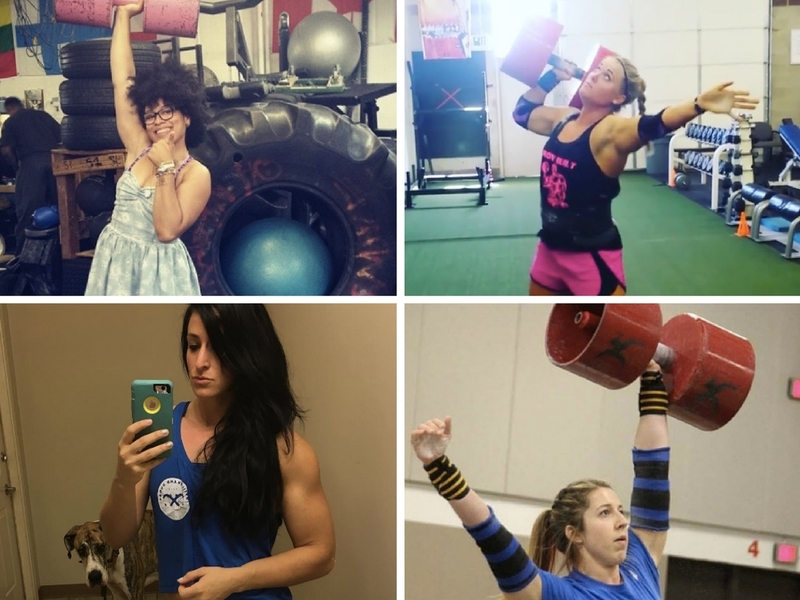 This is a big year for women in Strongman. Both American Strongman federations, Strongman Corporation and United States Strongman, are hosting big-budget all female competitions, with prize money and the opportunity to go Professional. USS President Willie Wessels announced USS Women’s World’s last October. It will be in Louisville, Kentucky on October 28th and 29th this year. Meanwhile, announced in May of this year, Strongman Corporation’s Strongest Woman in the World competition is set to be held in Jacksonville, Florida, on August 27th and 28th, as a part of the SoFit Expo. When reached for comment, Dione Wessels, President of Strongman Corporation, said the women’s competitions were “a long time coming, and will help grow the [participation in] women’s weight classes.” For American amateur Strongwomen, this is the start of a new era. While the international World’s Strongest Woman competition has existed on and off since 1997, there has never been such accessibility — or such incentive — for amateur Strongwomen to try and go pro. For USS Women’s Worlds, there were qualifying competitions all over the country running all year, and some competitions already announced to qualify for 2017. For Strongman Corporation competitors (and many athletes compete in both federations), the road is a little longer, and only winners of certain competitions will actually be awarded a “Pro card.” The Strongest Woman in the World Competition is only open to previous amateur Nationals winners and the top 10 competitors from the Arnold Amateur World Championships from each weight class. Winners of the Strongest Woman in the World and some top finalists will then also be eligible to compete at the brand new Pro Women’s division in Spring 2017 at the Arnold Classic in Ohio. Most noteworthy is that both USS and Strongman Corp are incentivizing athletes with cold hard cash. Willie Wessels said of USS, “We were the first company of anybody to announce a Women’s Pro Worlds; which basically ‘Pro’ means paid. We announced the prize money last October, and the date of the show. And with USS, the men will never get more than women, so if we give out $6,000 dollars for women, if we do a men’s show, they will get no more than $6,000.” The USS Pro Women’s World’s purse is currently at $6,000. The purse for Strongman Corporation’s Strongest Woman in the World is $10,000. The stakes and incentive are high for both of these competitions. So who are some of the women who go could go on to be known as some of the top Strongwomen in the world? And what is like to be them? I reached out to a few athletes who have qualified and plan on competing in the two upcoming competitions to discuss their experiences with this fast-growing sport. How long have you been competing in Strongman, and what got you into it? I started competing in Strongman in July of 2015. It was a local comp that a friend asked me to compete in so I went, had a blast, and fell in love with the sport! I loved how supportive everyone was and how it was like a big family of crazy, strong, amazing, individuals who are always willing to share advice and help out a fellow competitor. I also love that you get to get dirty and pick up heavy stuff! I met most of my best friends by competing in this sport and am forever grateful for that! Do you work with a coach? How have they (or you, if no coach) approached your programming for this competition? I work with Matt Wattles at Competitive Edge in Meridian Idaho. Every three to four weeks my program changes to address weaknesses and to best peak me for this competition. I am down to training events only for my last three weeks… and have never felt more prepared. He is an amazing coach who has my workouts and diet down to an exact science! My body has never felt better! I went to him after getting to train with his amazing wife and my dear friend, Amy Wattles. I was complaining about my shoulder and back always hurting so she set up a meeting to have him help fix me. I was blown away with how much he knew. I love that he takes care of everything and I just get to show up and train! I always overthink things when I try to train myself, so working with him has been huge for my progress! He put 30 lbs on my log press which I wasn’t able to do for a while due to my shoulder. I am new at this sport and have a lot to learn, but know that I am in the right place to get to where I want to go. Him and his wife have been a huge blessing! What has been a big obstacle for you in training (whether for this particular comp or in general) and in competing? A big victory/PR? Finances! Taking time off work and being able to afford airfare, hotels, equipment/training gear, ridiculous amounts of food, entry fee, etc. Finally hitting 230 on the log clean & press was a huge PR! I want to hit 270 during our record breaker in April. What would you like to see happen for women in Strongman? I would like to see this sport grow and continue to get more women involved! Having cash prizes is huge, because this is an expensive sport. Amy Wattles, Rachel Pyron, and myself are promoting local comps in Idaho to try and get more exposure for the sport. 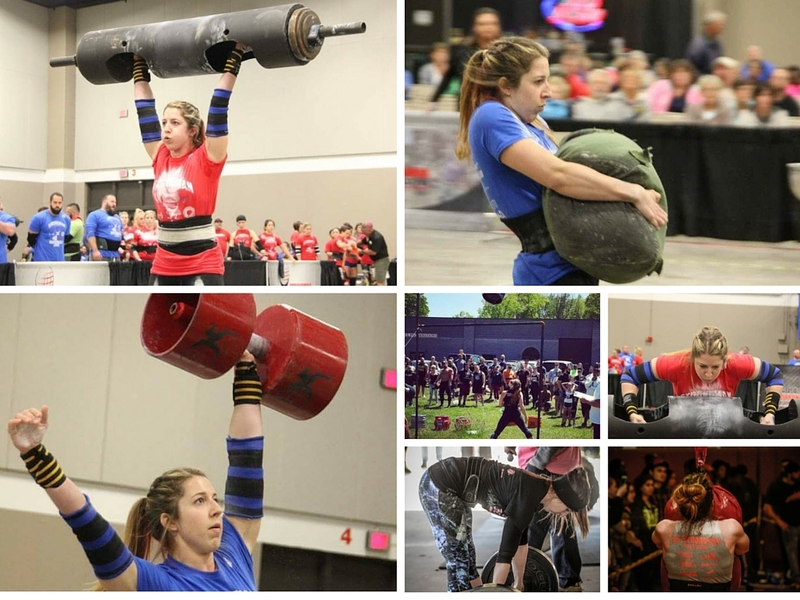 Rachel had a huge turnout at her Mecca competition and it was amazing to see! Amy and I are running one on April 8th in Meridian, ID, that will include a Friday night record breaker before the Saturday competition. We are anticipating a huge turnout of women. This will be an amazing contest for not only elite Strongman competitors, but for novice competitors as well. Advice to the amateur strength athlete who wants to get more serious about competing? Just do it!!! Sign up and go!!!! Don’t let fear stop you. You’ll meet amazing people who will be able to answer any questions you have and you’ll probably leave the competition with a few new training partners and life long friends. Don’t wait till you’re “strong enough” to compete or you’ll never feel ready. Just give it your all, have fun, and do it! I started competing in Strongman February 2014. I met my trainer, Chad Canter of Power NYC Training Services, in May 2013. I wasn’t looking for a trainer or a Strongman Coach. I had started working at this spa in a gym to have access to fitness classes; equipment that I had very little clue how to use, and athletes. I’m a massage therapist and I really desired to expand my knowledge and experience in working with athletes. I was covering a shift for another therapist and had an empty schedule. I didn’t know anyone at this location and wanted a body to practice on. I walked into the lounge and asked who wanted a massage. This big beardy guy raised his hand and proceeded to fill me in on his most recent competition injuries. I was like “huh? What’s a Deadlift, and why does it involve a car?” We started out trading services. I really wanted to see what Strongman was like, the first time at Global Strongman Gym I thought I was just gonna watch and instead ended up flipping giant tires, lifting stones, and running Yoke. It was after I ran the Yoke that I felt this strange joy. Like destiny. For me, working with Chad is a no brainer. Of all my expenses it’s the one expense I take the most pride in paying because of the expert service I receive; having that person who’s my record keeper, who remembers how far I’ve come and most importantly, someone who shares my dream and does everything to calculate and push me beyond what I think is possible. As per programming for this particular competition? That information is Top Secret! Just kidding… We do about 6 weeks of strength training, followed by 6 weeks of conditioning… a lot of it is arranged according to energy systems. The first thing that comes to mind here [is that] I would love to see women being judged more evenly across the board. For example, some things I’ve noticed at Plat Plus level shows [is] comp weights being changed at the last minute to accommodate an athlete who complains that an implement is too heavy; you know the weights when you sign up… It undermines the integrity of the other athletes who have been training and transforming their weakness to take it on. Another thing that would be truly amazing in this sport which we are already starting to see is the introduction of an Elite Class AKA Women’s Pro. I think this category is going to further encourage women to develop themselves beyond their greatest expectations. Ultimately, no amount of money can ever validate how hard you pushed yourself and how much more strength and wisdom you gained in the process all for those 5-6 minutes of glorious comp time. With that said, what’s it gonna take to have cash prizes be the norm? As for my own ambitions, I’m here and I’m not going anywhere. I wanna win championships. Nationally and Globally. It would be great to have my dedication to Strongman recognized by companies who are looking to have their brand become a supporter of Feminine Strength in a predominantly male arena. Of course, everyone wants a sponsorship, but I compete all around the country on average 4 -5 times a year. I think that’s good publicity. Wholeheartedly, I’m praying everyday to be healthy and well enough to continue training and competing for many years to come, and if I somewhere along the way can be a source of encouragement for others then that would be a major victory. Also, I really wanna pull a plane one day! Time management is always a struggle. Being a single woman in NYC, I fund my own life. I’m also a freelancer so my hours are all over the place. I do my best to keep things quite as competitions get closer so I can get food and sleep on point. It’s not always possible. I manage though. I always go into every competition with the same goals in mind to win every event, to leave everything out on the field and return regret free and more of a champion than ever before. Oh so you wanna get more serious about competing, ey? Do you have a coach? Do you train with a team or a squad of like-minded lifters? That’s important. Look at the areas you require the most growth, choose competitions that are going to challenge you to work through your weaknesses. Fear Nothing. Be Brave. I got a little more serious about Strongman in the summer of 2014, though prior to that I would compete in local meets if I saw one near me. I had always been into lifting, but was primarily focused on other sports. At one point, Kalle Beck hit me up and suggested that I try Strongman as opposed to doing “really heavy CrossFit.” I tossed his suggestion around until I was in a good place to train for one and got hooked. Since then, we have really expanded our strongman section at NBS Fitness so there has been zero logistical obstacles in training. Fittingly, I have Kalle Beck write out my programming. He is really good about reigning things in towards competition time. This prep, he has fit my training parameters to the demands of the contest. We do a lot of deadlift progression work, submaximal and maximal viking press, and we are mixing the moving events in where the seem to naturally fit. It’s been really nice getting under the implements and adjusting technique from there. What events are you looking forward to? What events are more challenging for you, and how do you work through that? Because I had such a rough go with my pressing at Nationals due to my wrist, I am really looking forward to redeeming myself on the Viking Press. I always look forward to stone loading as well. Totally unrelated to my own performance, I look forward to seeing Buffy Gordon deadlift. I’m expecting a huge pull out of her. Ha. By far, this year has been my toughest year of training for me. I have been really fortunate to be a part of a few different areas of the fitness industry. While that keeps me in the loop, if often has me traveling. When you are traveling, you don’t know exactly when you will be training and what you will have access to. I also suffered a broken scaphoid about six weeks out from USS Nationals this year that really put a handicap on my pressing. Luckily, it seems to be healed. On the other hand, I have had some of the most solid static strength development in the past year or so that i have ever had. I have also managed to maintain a more stable body weight/composition and will likely come down a weight class for Worlds without any loss of strength. I think committing to a meet and seeing where you are at physically is the one step people fumble the most. Many people wait until they feel “ready” to compete, and it leads them to never step up. From there, objectively look at your performance and put a plan in action. This sport is a long term endeavor and we are all fine-tuning our technique and increasing our base strength. Lastly, I think hiring a coach and getting a second set of eyes on all things competing related is essential. My first competition was April 2014…and I have about 15 events under my belt… I originally moved to NYC to dance professionally – and like many of my peers in that field, I turned to the fitness industry for additional income, teaching experience and education. I love movement and anatomy, so it was a natural fit for me – but at this time I had never touched a barbell, never lifted any serious weight. So there I was, a personal trainer at one of the many Equinox locations in Manhattan, when I got curious about powerlifting (I also had several colleagues tell me I’d be a decent lifter based on my build). I dabbled in that for awhile and really enjoyed the static lifts, but was itching for something a little more dynamic…and then I heard some stories about a fellow trainer who competed in Strongman. I politely pestered him until he agreed to give me a session, and after that first hour, I was HOOKED. I was soon working three times a week with him, hopped into the open lightweight division of my first competition four months later and never looked back. That fellow colleague I mentioned earlier – that’s him! My coach (not to mention one of my best friends) is Chad Canter of PowerNYC Training Services. For my upcoming show in Anaheim [author’s note: The Odd Haugen Strength Classic, LW winner qualifies for the Arnold Classic 2017], we’ve focused a lot on timed sets and working under intense levels of fatigue in static lifts. For example, my deadlift event is 335lbs for 75 seconds…this is a loooong time to be pulling. So he’s been forcing me to take lots of heavy sets with very little rest between to mimic those last few seconds where I’ll really be feeling drained…the end result should be a few extra reps when it counts! Opportunities for money and sponsorship (Nike for me pretty please!) are always great – or chances to travel and compete abroad! The sport is growing, but I would love to see it really take off in terms of spectators and media coverage. And within each competition, a clear standard of judging/scoring that is enforced by all officials equally. No need to “take it easy” on the women – we have big goals, and our events should be scored with integrity and consistency. Log cleans/presses have long been a weakness of mine…my wingspan is especially long, which makes it difficult to keep tension in the clean (and I really have to drop and reach to get the weight locked out overhead). But sometime over the last few months, while training other press events, my upper back strength and my push jerks improved dramatically. As such, my log is AT LAST starting to catch up to my other presses. It’s given me so much confidence, knowing my body has absorbed that much great and useful information. If I can hit double digits in Anaheim (clean and press on every rep) it will be a HUGE personal best. Fingers crossed! I should mention that I’m always perfecting my mental game too – every competition makes me emotionally and mentally stronger (and also much calmer if an event doesn’t go my way). Still a work in progress, but we’re getting there! Visualization exercises for enhanced athletic performance are amazing tools – if you have yet to try one, I would highly recommend it. As mentioned above, Log Clean & Press will be my toughest event…but everything else should be a blast! I love deadlifts for reps and loading events (I have two of those), they are great opportunities to show off technique and pure strength simultaneously. I also get to try MAS wrestling at this competition (think tug-of-war, but seated and holding a dowel), which is pretty unique. I have no idea what to expect with that one, but as one teammate told me…”Just don’t. Let. Go.” Sound advice, right? For every event, I attach two or three keywords/cues to keep me focused on game day. Having a mantra (on the Log Press it might be “upper back tight, elbows high, drop low”) keeps my nerves at bay and my mind solely on the task at hand. Find some coaches and mentors you really trust. Treat your training with utmost respect – not every day will be your best day, but the work is being done nonetheless and that is what counts. Be persistent. Don’t be afraid to fail. Celebrate your strengths, but attack your weaknesses with vigor and enthusiasm! Compete A LOT (if you can swing it)…there is so much to be learned from those initial events. Know your competitors, especially those who are a weeeee bit (or a lot bit, hah) stronger than you… Watch them and chase them, and have fun doing it. And always remember, you’re doing this because you love it. If the love starts to diminish, take a break. You can always come back!